If you like your food, Provence makes for a great destination whether you’re heading away with friends or family to one of our fantastic villas in Provence. 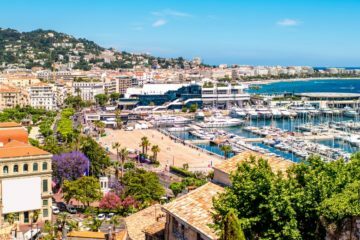 With the bounty of the sea to tuck into on the Côte d’Azur and lush inland farms producing top-quality ingredients, you’ll be getting the best of French cuisine whether you’re heading out to eat or rustling something up yourself. 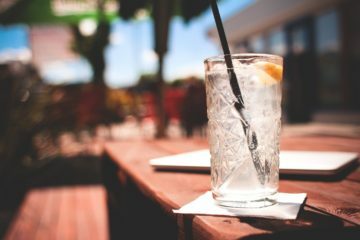 Need a bit of inspiration for some great activities and places to eat that put gastronomy at the forefront? 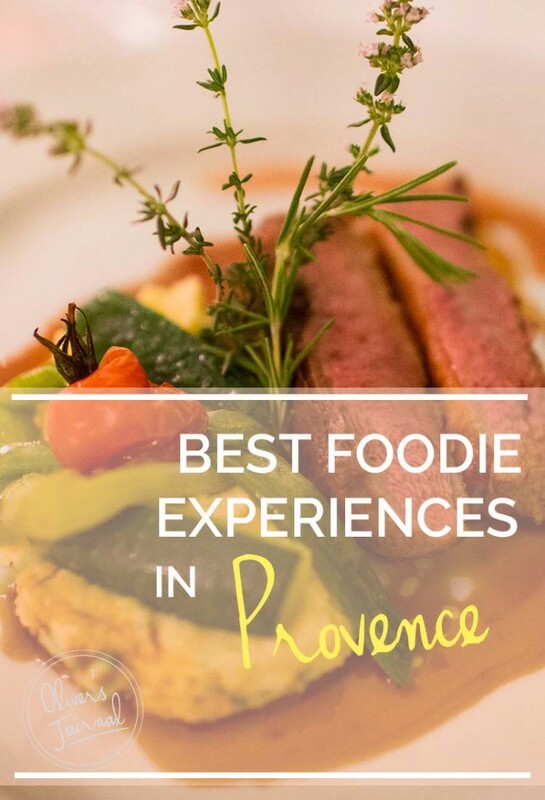 Here’s 10 of our best foodie experiences in Provence that are bound to get your juices flowing! Alexandre Mazzia is renowned for the creativity with which he approaches his flavours and courses, and his eponymous restaurant provides one of the best dining experiences in Provence-Alps. If you taste something first with your eyes then you’ll be tucking in long before your first bite: the Michelin-starred restaurant serves meals of dazzling beauty, using the natural colours and shapes of nature for food that looks truly unique, such as delicate biscotti covered in speckles of bright vegetables. Once you start to eat, you’ll experience flavours from all around the world lingering in your mouth. Each course of the taster menu holds a surprise: raspberry is unexpectedly mixed with harissa, for instance, or salmon is paired with pineapples and miso. It’s entirely unexpected but beloved by its patrons. Foraging for truffles is a quintessential Provençal experience, which visitors can do at the celebrated organic farm of Les Pastras. 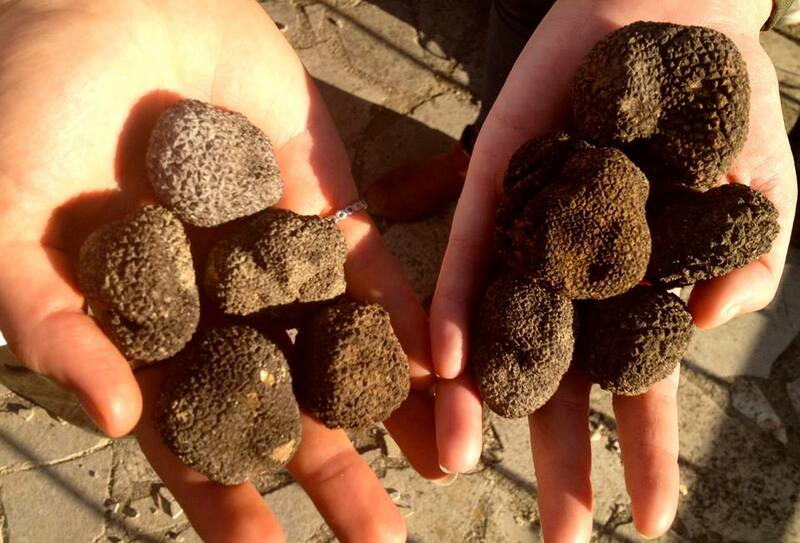 During a guided tour of the truffle plantation, you’ll get to hunt for the elusive delicacy. As you search, listen as your guides shares the secrets behind and the legends associated with the mysterious and coveted fungi. Visitors will also learn how truffles are stored and prepared, before finally tasting this sought-after delight. One of the best ice-cream parlours in France is hidden in the hills of Haute-Provence. The perennially popular Glaces Scaramouche makes all its ice creams locally and has an outdoor seating area where you can sample its wares in many different forms. Lounge with a milkshake while reading one of the books at the café, cool off from the heat with a refreshing sorbet or buy giant sundaes to share with the whole family. The location, in the charming village of Céreste, cements the already considerable appeal of this gelateria. 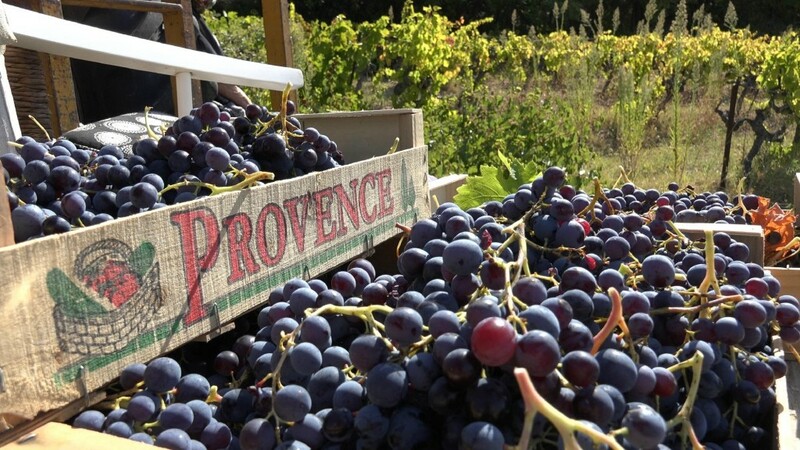 This family-run business provide specialised guided tours of Provence for foodies, taking you from whichever corner of the region you are staying in to the best wines and vineyards in the South of France. The private expeditions are curated to your own personal tastes, with the English-speaking guides offering expert information at each point on your tour. 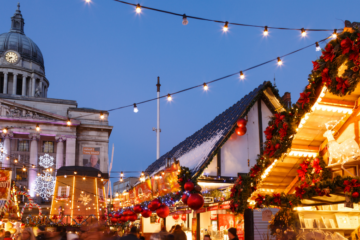 You can choose between wandering around markets overflowing with local produce, exploring the cellars of famous vintners and even stomping on some of the grapes yourself. Don’t forget to pick up a bottle as a souvenir. 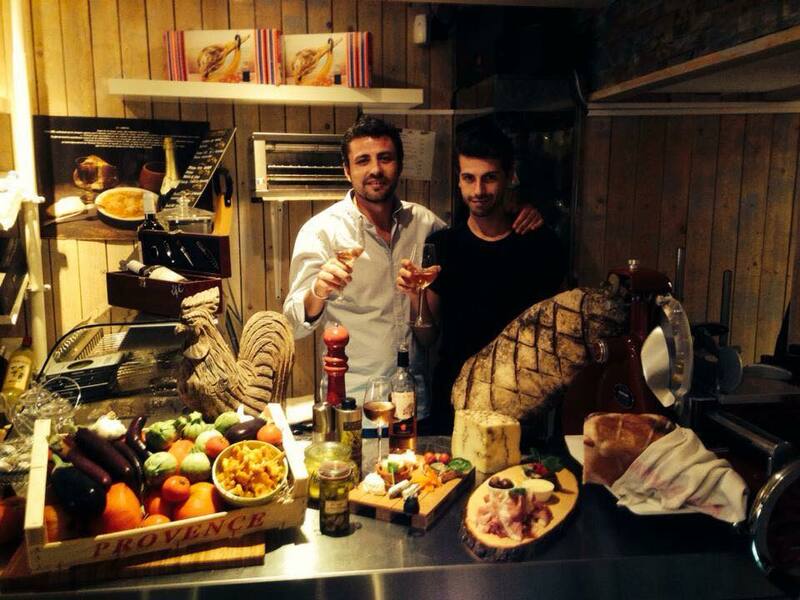 Impress your friends back home by picking up some new culinary skills with a lesson at La Serviette Blanche. 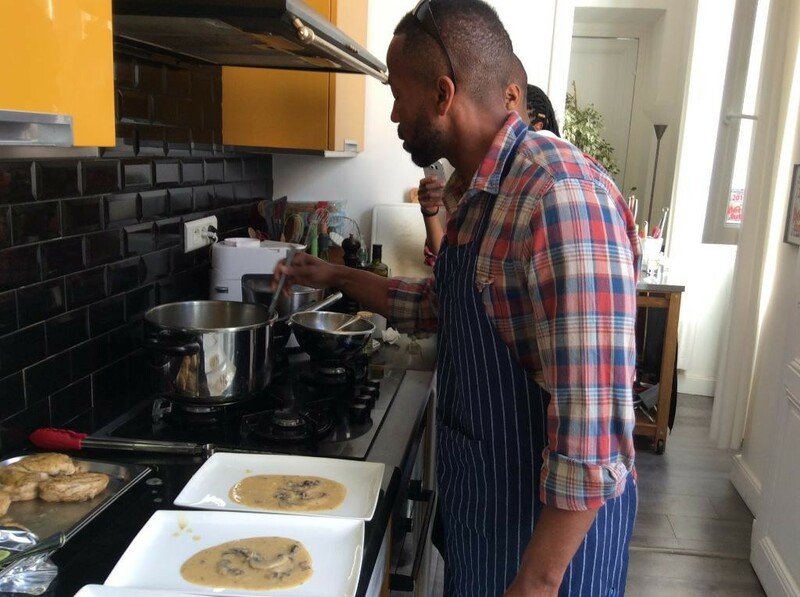 During the private class, you’ll be taught you how to prepare a three-course meal from start (choosing the ingredients in a local market) to finish (professional plating). The chef, Elaine, also runs classes for children where they can learn to cook healthy Provençal food in a fun and friendly setting. Of course, you don’t have to take one of the lessons to enjoy the restaurant itself; the menus here change daily and the environment is designed to get you to mingle with other diners. Few experiences feel more authentic to the region of Provence-Alps than wandering the olive groves of the old Partégal windmill as cicadas chirp in the background. 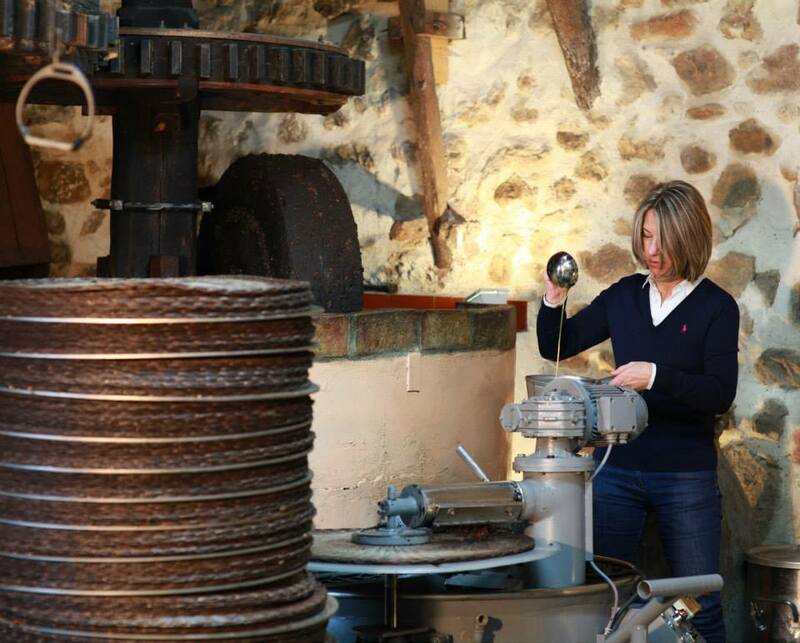 Visitors can tour the mill and see how olive oil has been made throughout the centuries as the owners relay stories from decades of experience. The tour ends with a blind taste test as you sample the rich produce of the mill, which you can also buy in the on-site shop. 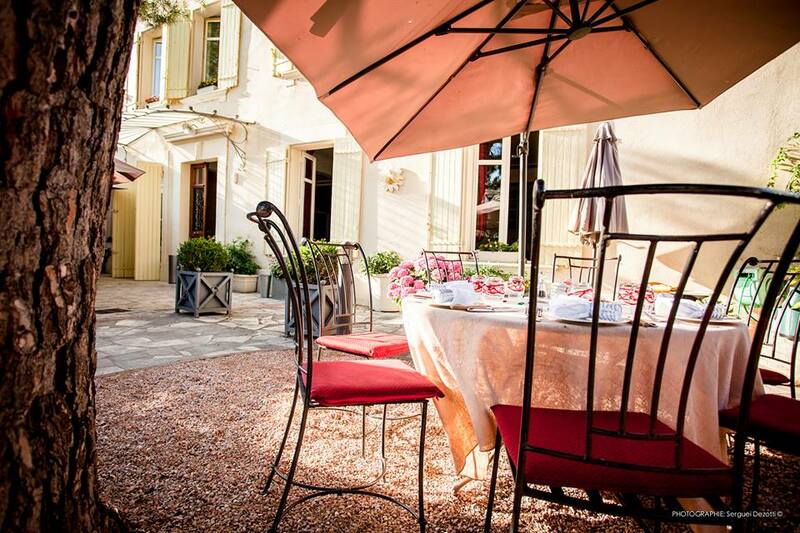 Fresh, seasonal and local food is prepared by Michelin-approved chefs at La Table de Pol in Lorgues. Head chef Didier Bocquet brings out all the flavours of Provence-Alps in dishes that put an haute-cuisine flair on rustic staples. Specialities include their andouillette, a type of coarse sausage stuffed with meat and seasoning, and bourride, a traditional Provençal fish stew. 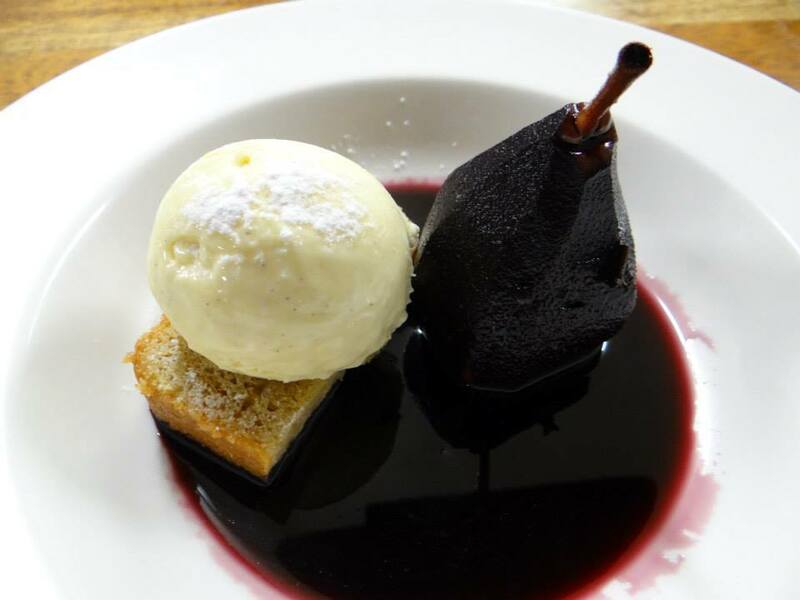 Three-course set menus and lunch offers mean that you don’t have to break the bank to enjoy some of the finest food that Provence-Alps has to offer. You can follow the journey of your dinner from the garden to the plate at L’Oustalet, where the restaurant is situated next to the vegetable patches and vineyards – the source of the feast you are about to enjoy. As such, the food is seasonal, earthy and about as local as you can get, with meals such as rabbit fricassee and mesclun salad filling out a menu that is straight from Provence’s rural past. The restaurant is co-owned by the neighbouring winemakers, which ensures the perfect drink to accompany your already mouth-watering meal. 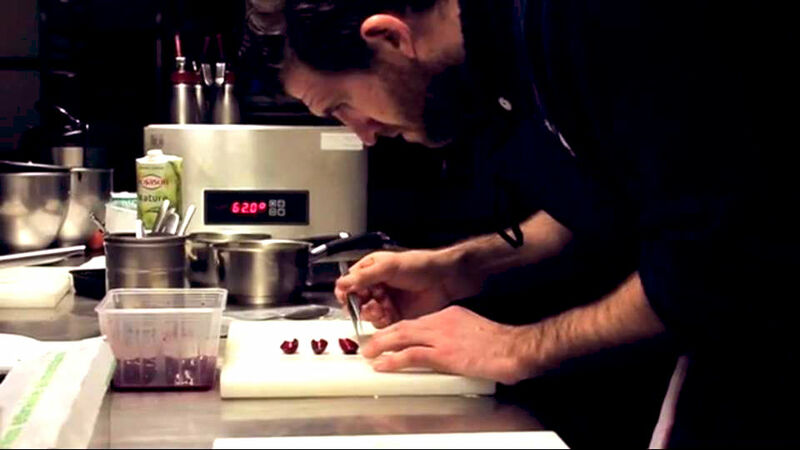 The owners of La Table de Sorgues gave up running a vineyard to pursue their greatest passion: cooking. 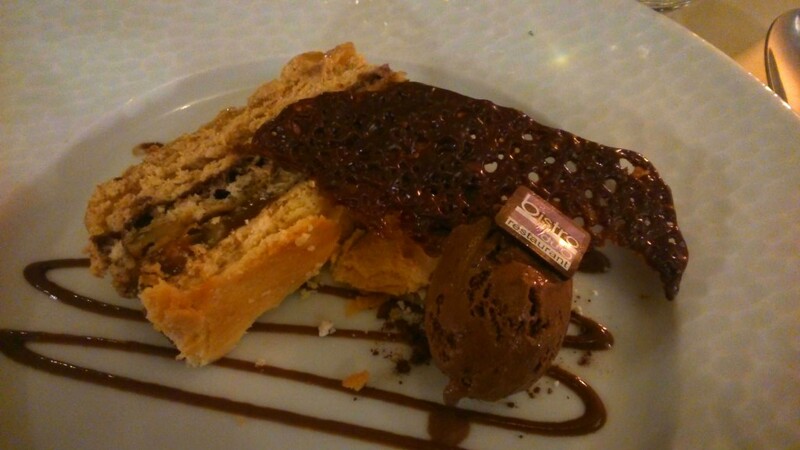 The result was this popular restaurant, located in a charming village to the north of Avignon. The fixed table d’hôtes menu of seasonal food might include anything from a whole roast turbot (freshly caught, of course) to fillet steak with a shallot confit. 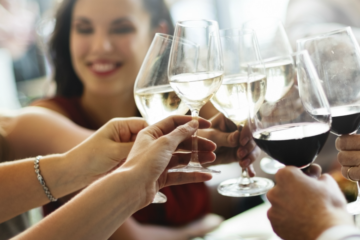 Naturally, the wine menu is an embarrassment of riches, offering the best vintages from the Rhône Valley to accompany each delectable course. Head there in summer to dine outdoors in a leafy courtyard under the hot Provençal sun. Like many of the Michelin restaurants in Provence-Alps, Bistro du’O is all about respecting the seasons and the land. The kitchen relies on fresh, local ingredients to create a regularly changing menu that celebrates the flavours of the region. 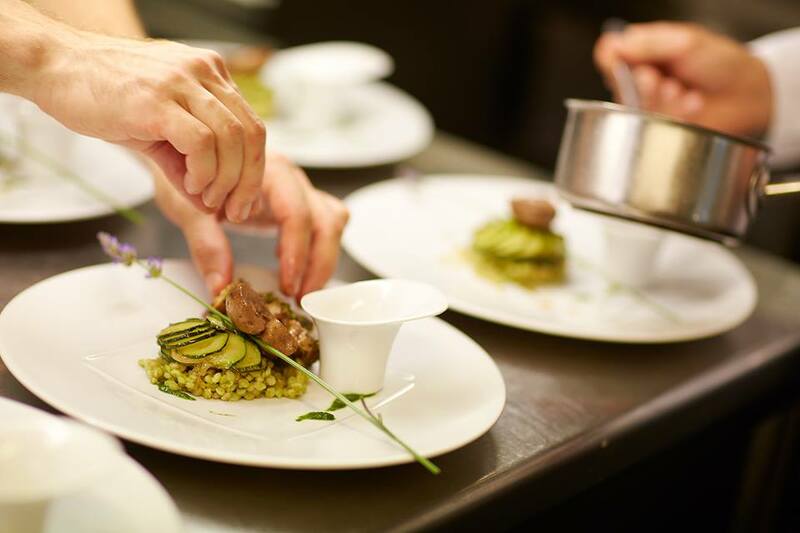 Many of the combinations here are familiar, such as pork belly with apple, but for the more adventurous there are meals such as foie gras ravioli and salmon tartare – each course prepared and served with all the passion you would expect from the chefs of Provence. 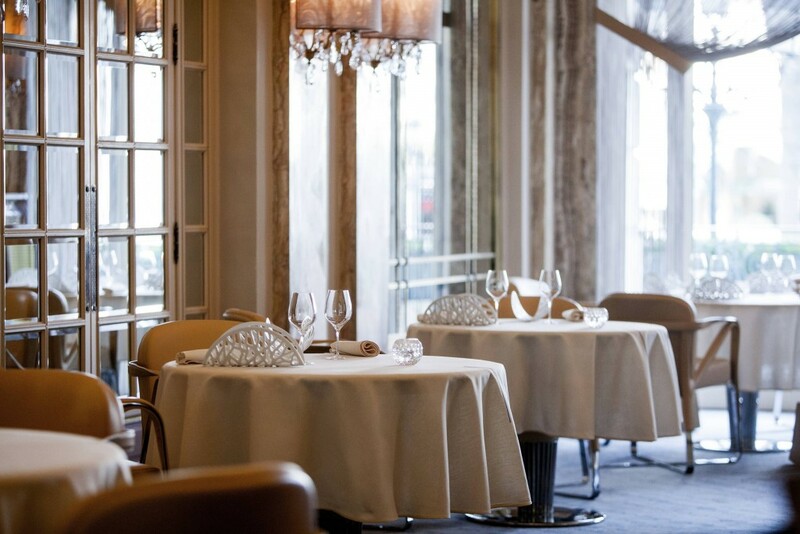 Truly a French Classic, and one of the best places to experience fine dining, Le Louis XV is a spacious and entirely glamorous venue. Expect beautifully presented dishes such as moulded meat, foie gras and truffle encased in pastry, proof of the culinary artistry of Alain Ducasse. Therefore if you’re heading to one of our stunning Cote d’Azur villas, this restaurant is a smart choice for a special treat! If you’re hungry for a stay at one of our fantastic holiday villas in Provence, our concierge team is here to help! Let them know what you’re looking for and they’ll find a villa or chateaux to match your specifications, and they can go through the whole booking process with you too. There’s loads more articles, tips and travel inspiration over at our blog too, so head across to have a read of the top 5 reasons to spend a summer in Provence, unforgettable wine experiences in the South of France for you and your foodie friends to enjoy as well as our travel guide to Provence – Alpes – Cote d’Azur that offers tons more info on this beautiful part of the world.